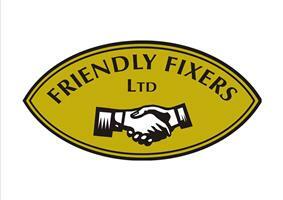 Friendly Fixers Ltd - Garden Services, Home Improvements based in Bournemouth, Dorset. Friendly Fixes Ltd started in 2007, where our aim was to combine many different trades under one roof: giving the customer peace of mind with reputable tradesman with varying skills available, rather than the headache that can often be associated with organising multiple tradesmen for the work you require. I, personally, have over 20 years’ experience in various trades, such as plumbing, carpentry and engineering to landscaping and shop fitting. We are also continuing to further our qualifications, skill and certificates so that we can give our customers the best service we can offer. If we cannot do the job personally we will organise and co-ordinate the work to be done and make sure it is carried out correctly and to the same high standard as our own work. We have been called in by the production company of “Mary Queen of Shops” to help with an episode about "Clealls of Corf Dorset" and their makeover was seen on TV. We will happily work for the private, commercial, domestic and insurance markets, so please feel free to call us to discuss your requirements. We usually offer free estimates, but on occasions where the time and manpower for some of the larger estimates may exceed a reasonable time, a charge may apply. But this will be deducted from the cost on completion of the job. We came up with the name as we love what we do and guarantee a smile and a 'Friendly Chat' as standard! So give us a call and let’s see how we can help you. We look forward to hearing from you.